Platinum Art Deco ring with 25 diamonds. Product code: 1696 Categories: Sold Items, Sold Rings. 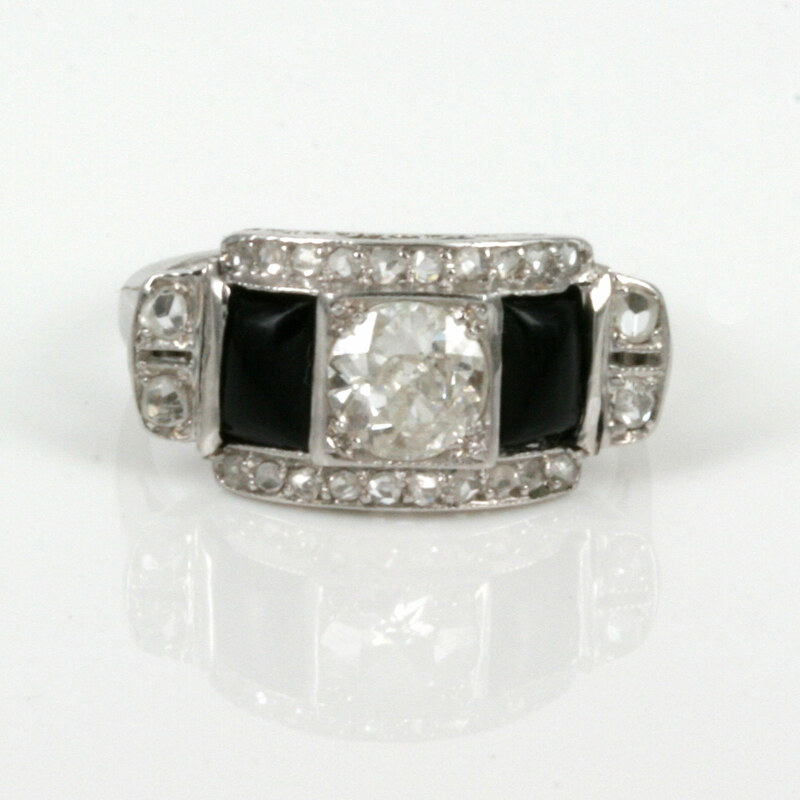 Art Deco diamond rings from the 1920’s have always remained so popular and attractive, and this Art Deco diamond ring with onyx looks superb and will always be admired. The Art Deco era introduced wonderful geometric and angular designs that can be seen in this Art Deco ring with the round central diamond, with the rectangle onyx pieces on both sides. The central diamond measures 0.54 carats and Is G/Si in quality and there are a further 24 rose cut diamonds that total 0.50 carats. Measuring 0.9mm wide, this Art Deco diamond ring sits so perfect on the finger. 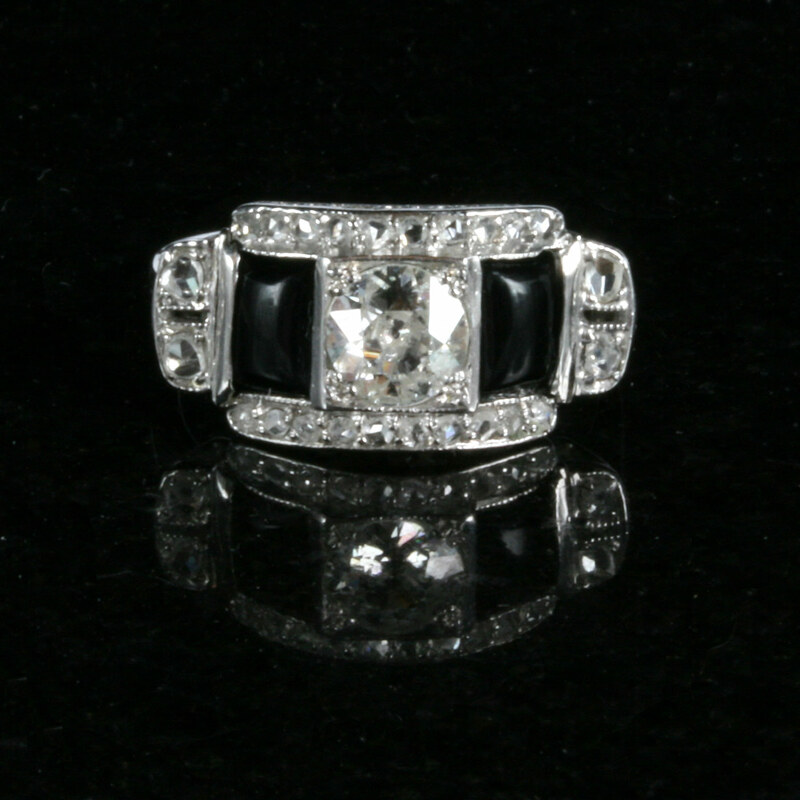 Hand made in platinum, this 1920’s Art Deco diamond and onyx ring has the perfect look and style.